Cheers to sustainability! Virginia’s winery owners are naturally committed to preserving and protecting the environment, and they realize their customers really care about the environment, too. Here are some of the ways 18 Virginia wineries have included “green” alongside their reds and whites. DuCard Vineyards’ new tasting room is solar powered, and all food waste is composted. 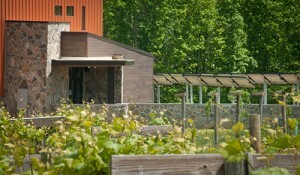 Guests can expect to see recycling and many other green practices in place at every Virginia Green certified winery. 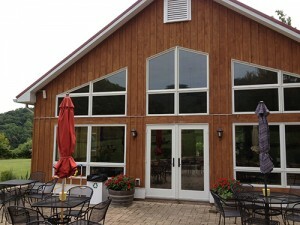 Include one of these 18 wineries in your vacation plans by planning a trip at VirginiaGreenTravel.org. Look for the Virginia Green logo! Cooper Vineyards’ tasting room is certified LEED platinum and uses solar power, as well as a geothermal heating and cooling system. Learn more about Virginia Green certification for wineries. Subscribe to receive the Fall Foliage Report. Hats off for being so environmentally responsible! This is great news not only from a sustainability point of view but just the fact that we are fortunate enough to have so many wineries in Virginia that are excellent!